This sophisticated saw blade is a high-performance, very user-friendly and absolutely reliable carbide saw blade. It has been designed for cutting requirements with manual feed and specially of casting sawing with manual and auto feed. Particularly contour cutting can be perfectly carried out by this user-friendly carbide blade. 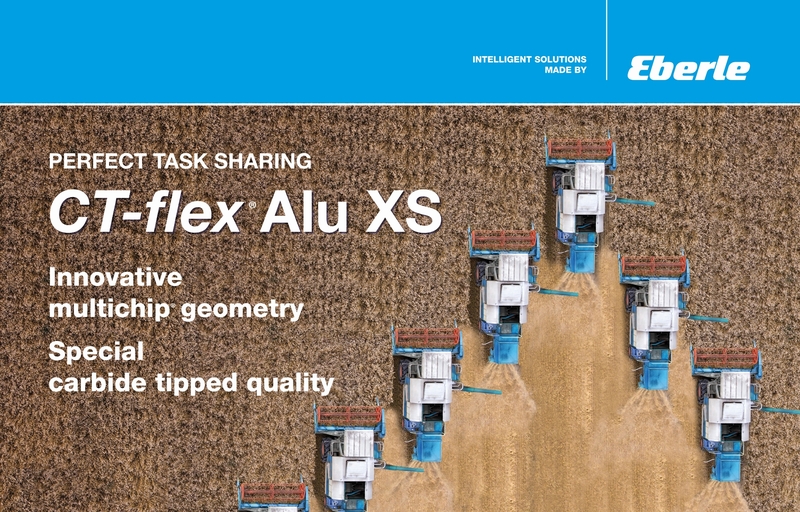 In addition, CT-flex® Alu XS impresses when sawing non-ferrous metals, as well. The innovative multichip® geometry reduces feed forces by the novel grinding at the teeth. It essentially facilitates contour cutting and leads to an excellent surface quality. Additionally, CT-flex® Alu XS is equipped with a special carbide-tipped quality realizing an extraordinary tool life.